Bloodborne is an all-new upcoming PlayStation 4 exclusive action role-playing video game that is currently being developed by Form Software, the creator of two legendary games known as Demon’s Souls and Dark Souls. Officially announced at this year’s Electronic Entertainment Expo, the game then made an inviting appearance at Gamescom 2014, but it was at Sony’s recent pre-Tokyo Game Show press conference that the publisher announced February 5, 2015 as the release date of the game in Japanese markets. Crafted from the same mold as Dark Souls and Demon’s Souls, Bloodborne is an action role-playing video game that is boasted to be another highly considerable addition to the list of notable PlayStation 4 exclusive titles. Being developed by Form Software with assistance from Sony-owned Japan Studio, the game inherits a lot of those core principles that made its spiritual predecessors sell largely, yet it is also distinctive in a unique way. Featuring great and “truly perilous combat,” the game is set in a complex gothic world that is occupied by terrifying, consummate monsters. 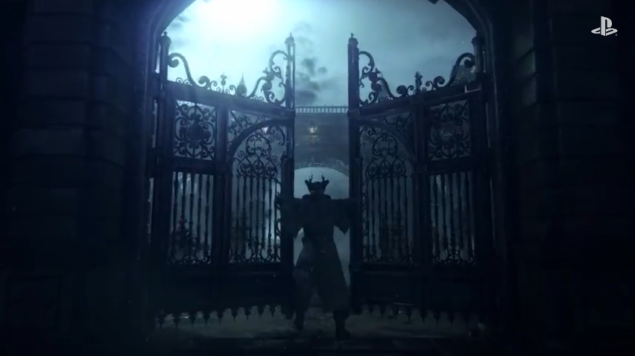 Sony officially took the covers off Bloodborne back at E3 2014 during its press conference, and the publisher has since revealed several details about the game, but a specific release date for the game was not revealed until today. During its pre-show press conference at Tokyo Game Show that is currently being held in Japan, Sony announced that Bloodborne will land on the PlayStation 4 on February 5, 2015 in the Japanese markets. Sadly, no release date was given for the western release, but you can be pretty sure it will as well be somewhere in February next year. Bloodborne limited edition was also announced but details are very scarce, we only know that it come packed with an artbook and a special soundtrack. Pre-orders for the game will open from today at 5 PM. Sony also presented a brand new trailer during its presentation, you can check it out below.